Earlier this month, the Golden Globe Awards revealed the big reactions to the big films of the past year, and now, all eyes are on the Oscars to see who’ll scoop up the top prizes. Firstly though, the Academy needs to find a host. After the debacle which saw the appointment of comedian and actor Kevin Hart, it’s looking likely there won’t be a single host, rather an array of guests to compere the event, and present various awards instead. However, a couple of Hollywood veterans have stepped forward and offered themselves as hosts for the evening. 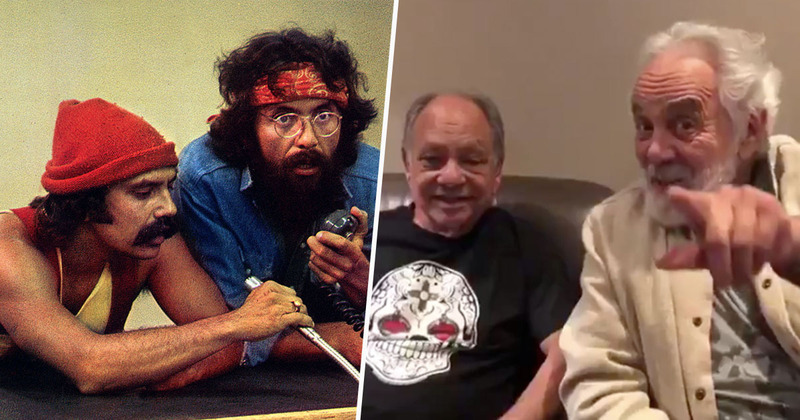 Namely, Cheech and Chong, aged 72 and 80 respectively, who’ve taken to Twitter to tell the Academy they’d be happy to be hosts. We’ve been thinking about this particular question for a long time, and we’re talking about it back and forth, and going from one side to the other, but we’ve decided that we’re going to save the Oscars this year and that we will be the hosts. Yeah, we’re going to be the hosts, I’ll be frank. Fans of the stoner duo were clearly in favour of this happening, too. Well yes, to be blunt about it. After Kevin Hart’s decision to step down as host – when a number of apparently homophobic tweets surfaced – speculation over who would take up the mantel has been rife, with Ricky Gervais getting in on the action. Some fans have even been calling for Hugh Jackman to step in. However, with the awards ceremony taking place on February 25, it seems the option the academy is favouring most – at the moment – is no host at all. It’d be the first time the ceremony has been without a host since 1989. Sources close to the ceremony told Variety producers are looking to select a range of A-list celebrities to present and introduce various segments on the night, rather than having one household name as the face of the show. As such, producers are reportedly scrambling to get a line-up together in time for the 91st Academy Awards, which are now less than six weeks away. The insider told the publication the show will focus on ‘starry skits’ and will ‘play up a high-profile year for music in film, thanks to likely nominees Lady Gaga, Dolly Parton, and Kendrick Lamar’. Despite appearing on The Ellen DeGeneres show, during which Ellen voiced her support of Hart, even revealing she’d spoken to the Academy asking them to reinstate him as host, sources close to the matter said this idea is ‘100 per cent dead’.